This cable is used to connect the 2/2 way magnet valve from Alphacool. 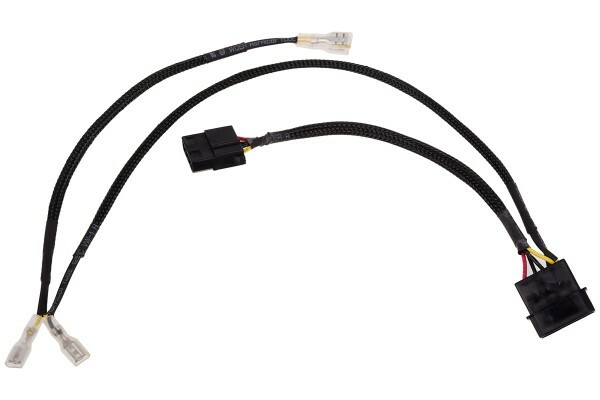 The 4-pin molex connector supplies the valve with 12V power. Two of the cable sockets are attached to the valve, the other two to an on/off switch. This allows the valve to be opened and closed manually. For a more detailed explanation, please watch the linked video. The first time connecting the cable socket to the magnetic valve will require somewhat more effort.